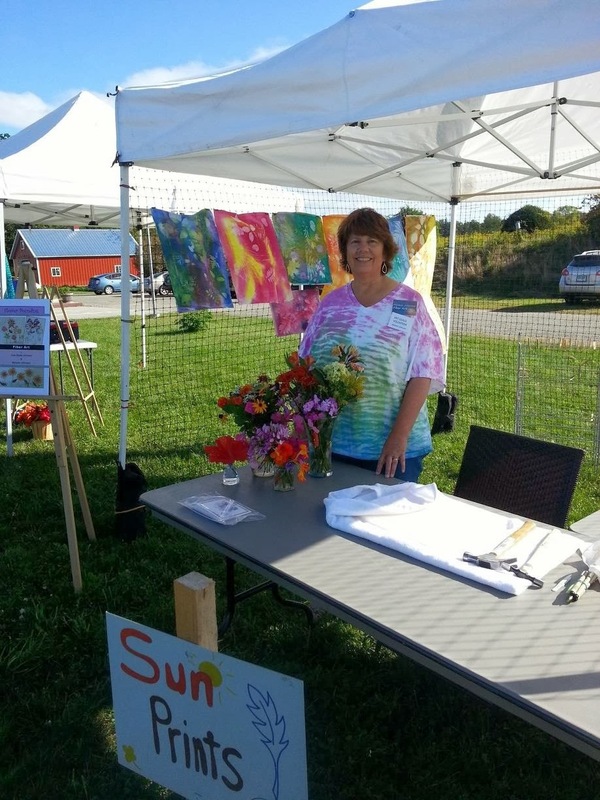 6:30 Business Meeting & Member Art Swap! 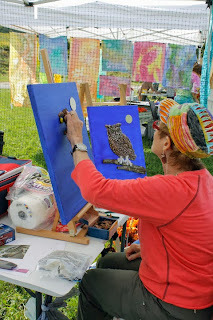 Bring art supplies in good condition that you would like to trade, sell or give away. Also bring a little snack to share if you are so inclined. 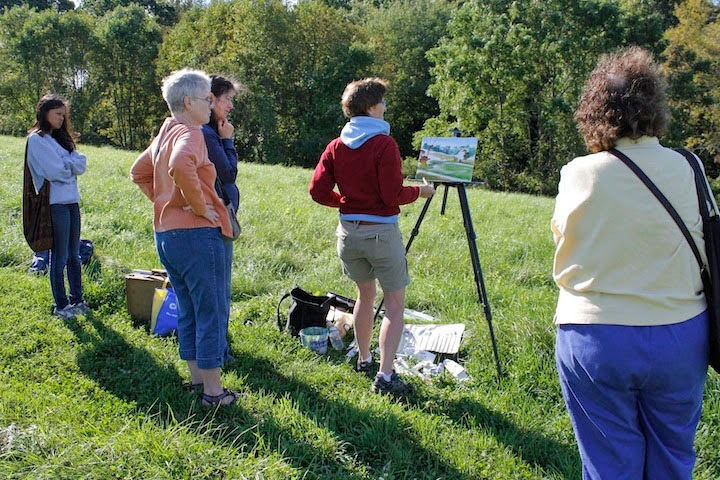 At this meeting, members are encouraged to bring in art supplies & equipment in good condition. These items may be priced & sold, swapped or given away. Refreshments will be served. 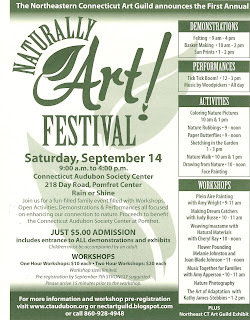 This is sure to be a fun event! 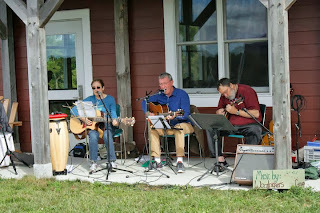 On Saturday, September 14, the Northeastern Connecticut Art Guild sponsored a unique outdoor event at the Connecticut Audubon Grassland Bird Conservation Center in Pomfret. 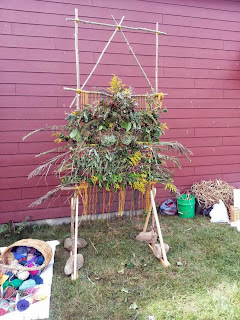 This first Naturally Art! Festival focused upon the many arts and activities that either use natural materials or are inspired by nature. The Plein Aire workshop participants, led by Amy Bartlett Wright, had a brisk day to paint the spectacular views around the center. 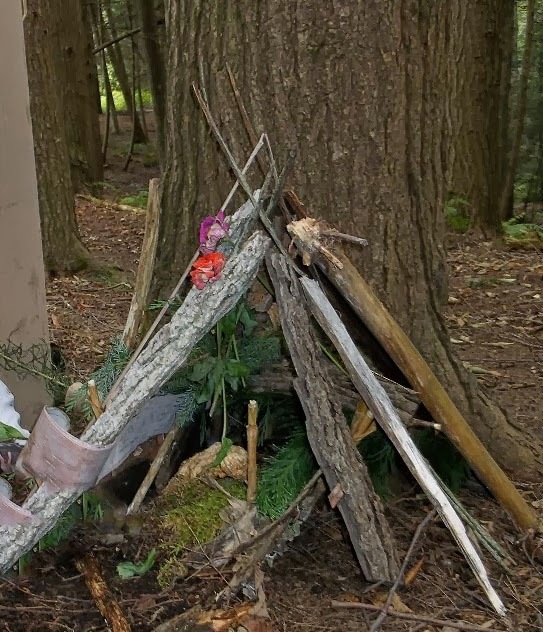 Children had great fun creating fairy houses in the woods with Judy Doyle and family. Other engaging activities were making dream catchers with Judy Busse, pastels in the garden with Sherise Abbate Witkowski. The little ones especially enjoyed coloring with Diane Allen, paper butterflies with Tracey Ferguson, nature rubbings with Karen Reid, and face painting by Becky Montgomery. 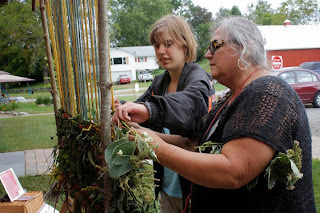 Many adults tried their hand at flower pounding with Melanie Johnston and Joan Blade Johnson, and enjoyed demonstrations on felting, basketry, and an owl pinecone creation by Nancy Dougherty. Maura Robie led a family nature walk on the sanctuary. 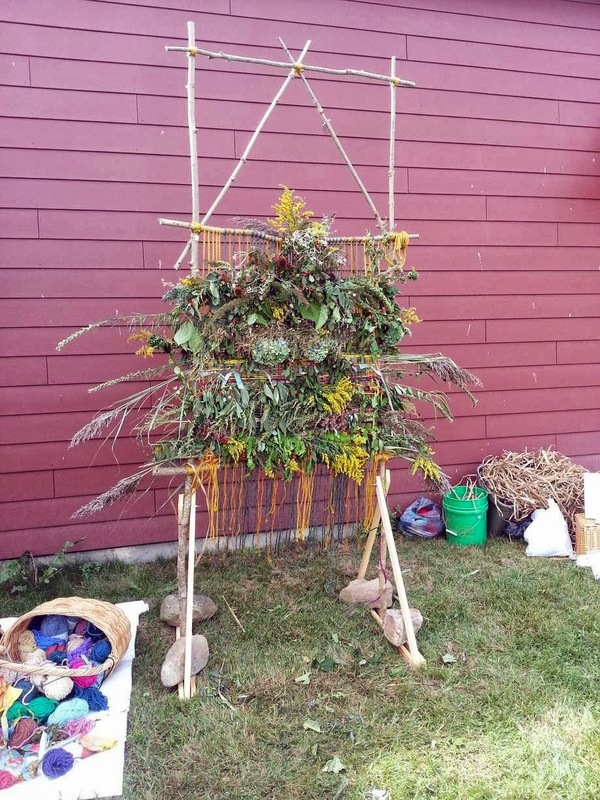 Children and their parents worked on a garden loom with Linda Rhynard and, by the end of the day had created a beautiful weaving composed of grasses and seasonal flowers. Throughout the day, everyone enjoyed the wonderful music provided by the trio of Mack Johnston, John Johnson and Lyn Gagne, as well as, young keyboardist Dan Dennis. proceeds will benefit the Connecticut Audubon Society Center at Pomfret. 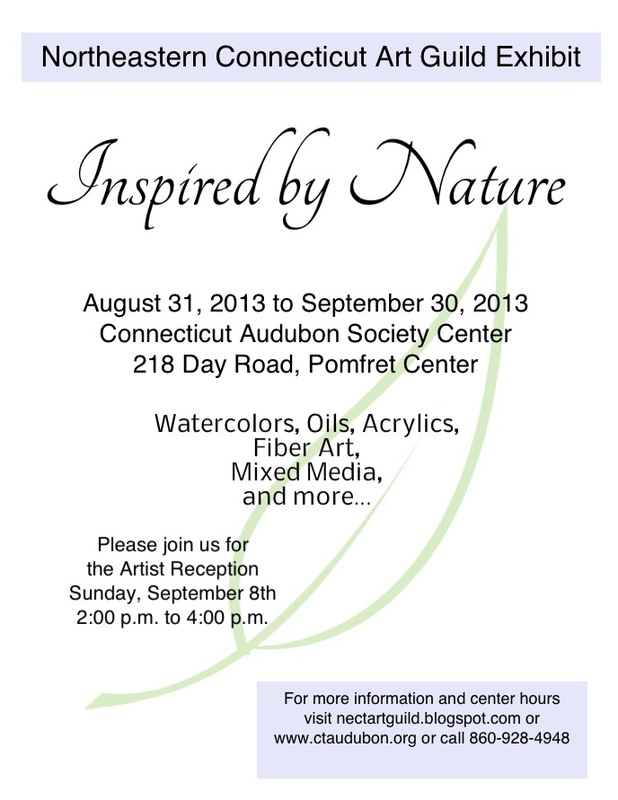 Reception February 2, 1-3 p.m.
May 30 from 10:00 a.m. to 2:00 p.m.